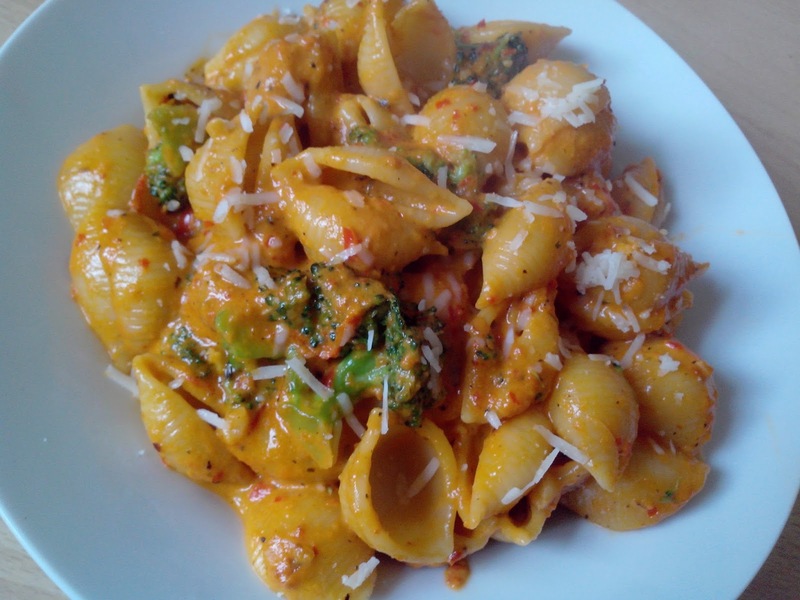 Pavi's Platter: Conchiglie in Red pepper sauce ! 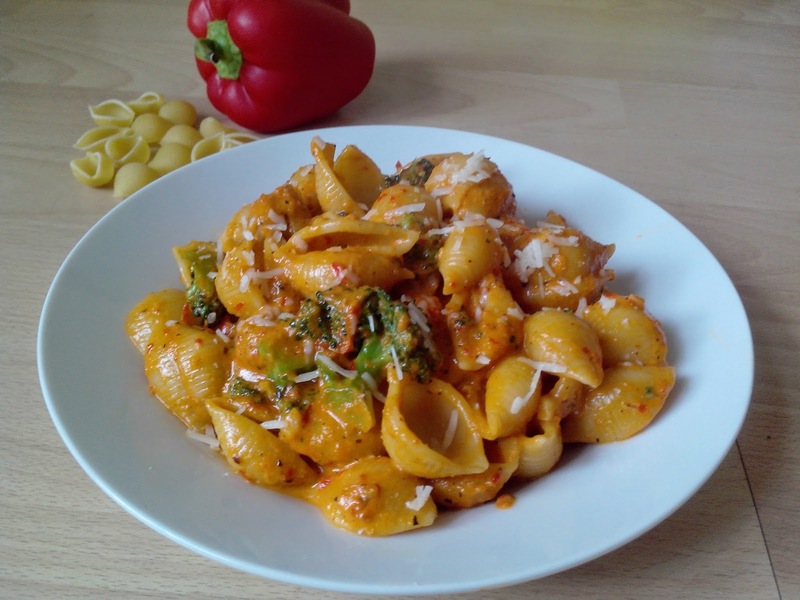 Conchiglie is shell shaped pasta and it is tossed in red bell pepper sauce today. Roasting the bell pepper in oven gives a unique taste, but i just sauted it in a pan but making sure they get those black spots on them similar to roasting effect. 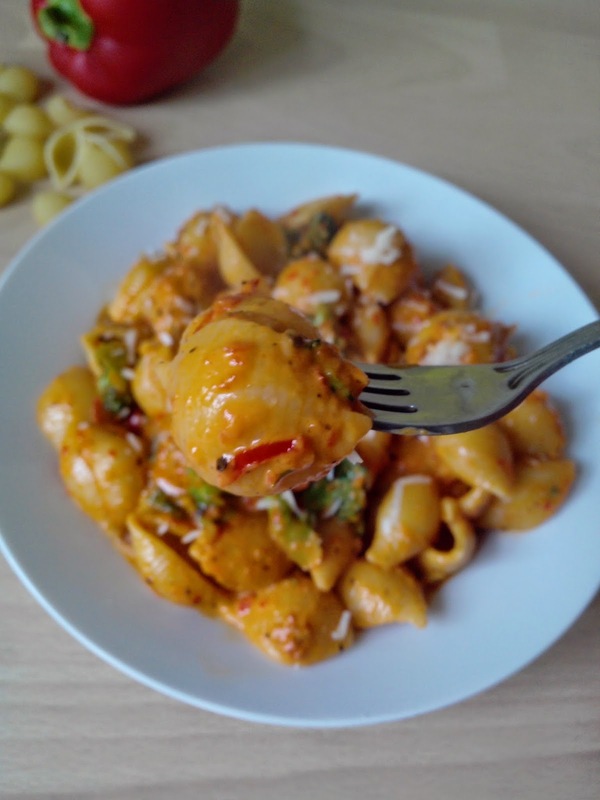 The cream added to this ground bell pepper and onions gives an attractive and inviting orange colored sauce.. I threw in some broccoli but its upto you. 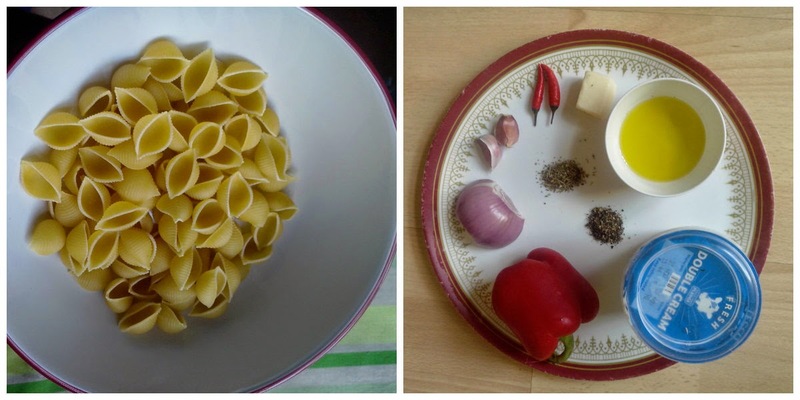 Cook the pasta in salted boiling water until al dente. Drain and keep aside. In a pan add some olive oil and add roughly chopped onions and red bell peppers and saute them. After 5 - 7 minutes you can see some black spots appearing (actually little burnt).. this is just to give the roasting effect. Turn off stove and let it cool. Grind the bell pepper and onion to a smooth paste. Now add the remaining olive oil, add the finely chopped garlic and saute for few seconds till they sweat. Then add the chopped red chillis or chilli flakes and broccoli. Blanch the broccoli or microwave it for 3 minutes before adding it. Saute the broccoli for 1 - 2 minutes and add the ground mixture. Add some water and let it cook. Add pepper, salt and the dried herbs and cook the for 2 more minutes. Add the cream and mix well.. I just loved the color after adding cream. Add the parmesan keeping a little for garnishing. In 2 - 3 minutes the sauce thickens and then add the pasta and give a mix so that sauce is coated well. Transfer to a serving bowl and garnish with the remaining parmesan. Serve hot ! 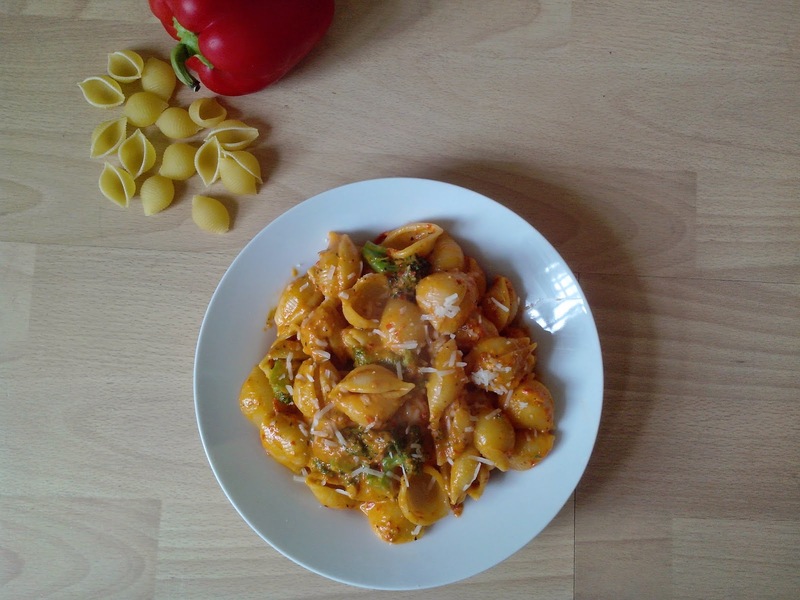 Its official end of Italian week :P meet you soon with some indian recipes !